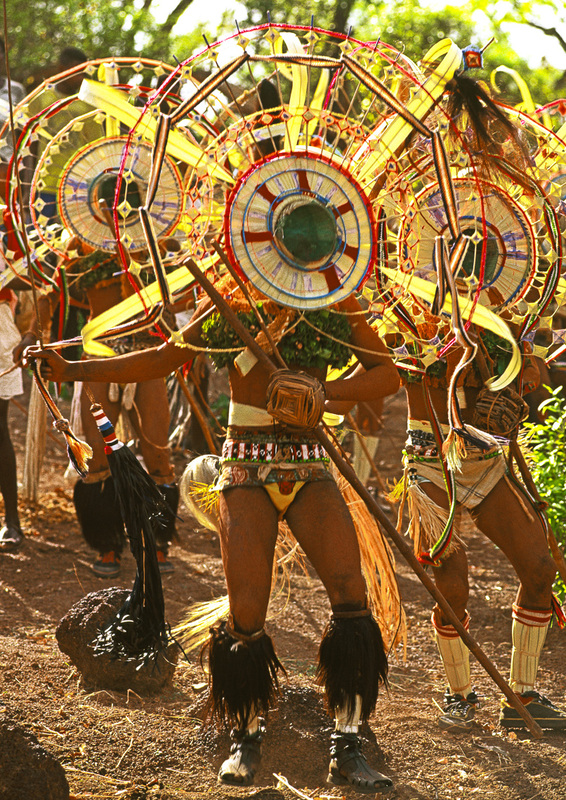 Masked dancers called Odo-Kuta emerge from the sacred forest to join the ritual celebration. Embodying the spirit of nature, they descend from the mountains to oversee festivities and ensure that tribal traditions are being maintained. At the climax of the ceremony, each initiate must challenge a masked figure to a wrestling combat to prove his virility and readiness to enter manhood.